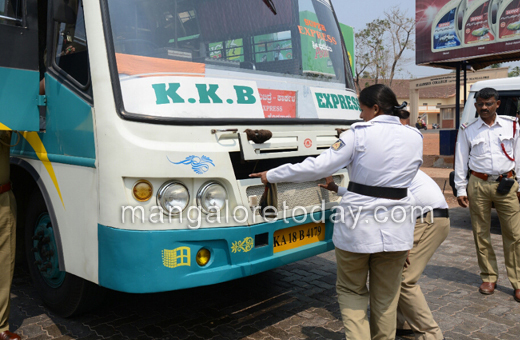 Mangaluru, March 22, 2015: Mangalore City Traffic Police on Sunday, March 22, regulated and penalised 26 buses for using high-decibel horns on city roads. 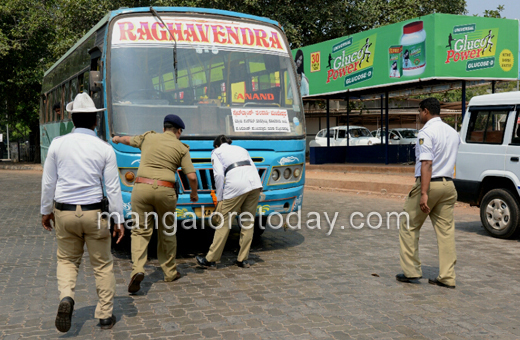 The cops stopped the buses, and inspected them on the spot. 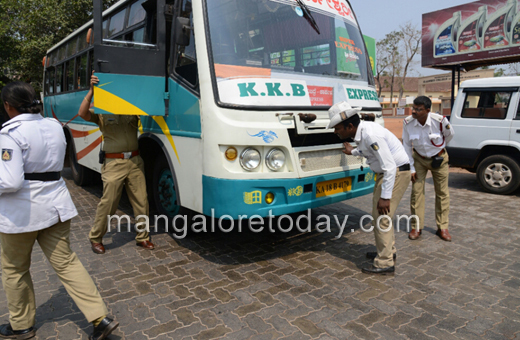 Horns of several buses were removed and placed under the bus tyres so that they would not be used again. 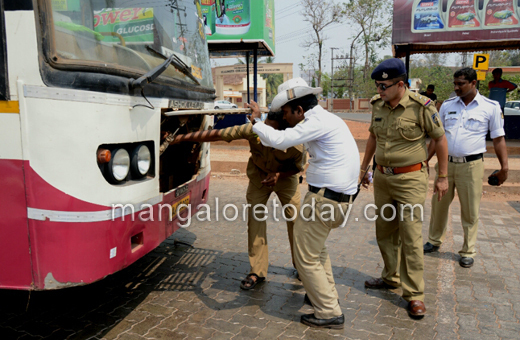 City traffic ACP Udaya Nayak said that the department will hold a series of drive against shrill horns. ’We have been during it regularly since a week. Today, we intercepted over 35 buses near Light House Hill and fined more than 26 buses’, he said. Gurudath Kamath, traffic police inspector said we will choose different locations on each day and since a week we have done operations against shrill horns in Lalbagh, Kottara, Ladyhill and Ballalbagh.